I returned to motherland Nigeria about 10 days ago to celebrate Nigeria, witness CHANGE, and rejoice with Muhammadu Buhari, who will today, after four persistent and tenacious swings at the Presidency, receive the baton to lead Nigerians into a future none of us can predict. I also salute outgoing President Goodluck Ebele Jonathan, leader of the biggest economy in Africa and captain of an intricate and complex arrangement named Nigeria for his wisdom and statesmanship expressed in the dying minutes of his reign. Jonathan now warms up to take the next available flight out to Otuoke into the waiting hands of his excited tub-thumpers who are still unhappy that he lost the election; but happy to see their son back home, at least alive. I wish Jonathan the best in his future endeavours. It is on a sad note, however, that after about 16 years of democratic rule, with ten of trillions of naira expended in the malodorous odyssey of government-after-government, and innumerable lives lost in the process, Nigeria is still neck-deep in an undeserved thralldom. As a page in the history of this nation ends today and another one flips open, those on the other side of the Peoples Democratic Party aisle are no longer custodians of the liberal luxury to unceasingly hammer Jonathan for every gait and gesture. Sing-songs of harsh critiques and long lyrics of probes will no longer be about the past but the present; the examination will no longer be about the PDP that blew up many opportunities to lift up Nigeria out of doldrums and quiescence but about the All Progressives Congress and Buhari who convinced over 15 million voters that they are smarter than their opponents in running government business, and that they are incomparable connoisseurs of all that good governance is all about. Buhari is beginning a sojourn in a terrain filled with all manner of economic and financial cyclones ravaging Nigeria; it is the truth that the General has signed on to commence a surfing expedition in the eye of a monstrous hurricane and a very bad storm. His deputy, Yemi Osinbajo, just told us that the nation’s economy is in its worst shape in history. Nigeria is currently having an international debt profile at $60bn and in 2015 alone, a debt serving bill of N953.6bn which represents 21 per cent of the 2015 national budget. Statistics released by the Debt Management Office inform us that Nigeria’s domestic debt today has ballooned to N8.51tn from N3.4tn the outgoing President inherited in 2010. Nigeria borrowed N5.04tn from the domestic debt market, her domestic debt at the federal level grew by 157.48 per cent, and external debts of both the federal and state governments rose from $4.31bn to $9.46bn. Twenty five per cent of Nigeria’s annual earning will be spent on servicing the huge debt; and another 25 per cent will be spent on the trumpery and tommyrot called oil subsidy. What then is left for Buhari to run Nigeria? That Nigeria is a tough place to live and do business is an understatement. Untold hardship pounds down on Nigerians daily. 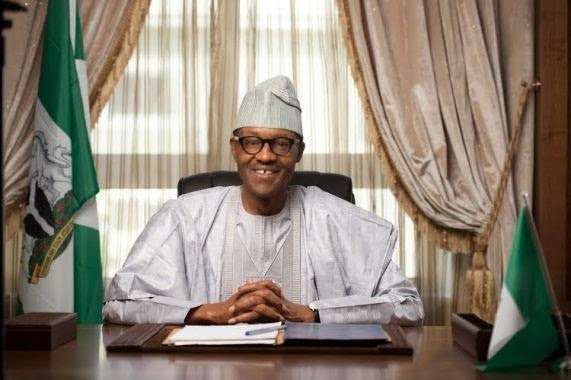 When the baton of power changes hands today, the chants of “Sai Buhari” will suffuse the air. But we need more than emotional intones; Nigerians want immediate signs that a sigh of relief from all manner of ills and difficulties is one hop away. The people are waiting to see what better curve will be invented to ensure that our comatose economy comes back with vibrant kicks. They are waiting to see not just how corruption will be fought in a nation where the debauchery has almost become a way of life, but how it will be won. They are waiting to see how a nation that is listed as the biggest economy in Africa; the sixth largest producer of petroleum in the world, and the eighth largest exporter and the 10th largest in proven reserves will provide enough fuel for its citizens’ private and business consumption. They are waiting to see how the endowment of diverse treasures under the earth in this nation will make life better for the people. Nigerians are not only waiting, a majority believes that Buhari and the APC possess the magic wand to get things done quickly. That will be the greatest challenge that the new President will be facing. This challenge will be more than fighting corruption, more than battling security quagmires, and more than cleaning up the economic mess. The expectation of immediate miracles is the steepest mountain Buhari and his men who convinced Nigerians to get rid of Goodluck Jonathan will have to climb. How they get things done is no bother to the hurting and tormented Nigerians who just want a way of escape from heart traumas, and who will not settle for a weight of excuses from the government. If in six months, there are no signs that “today” will be better than “yesterday” with Buhari in power, I tell you that the chants of “Sai Buhari” will approach a drastic diminuendo because the people’s patience has become thin and fragile. All the figures indicating bad times and economic kamikaze mooted over by Buhari and Osinbajo mean nothing to the people at this point. They mean nothing to the man in the creeks of Niger Delta who just wants to feed his family and send his children to school. They mean nothing to the farmer in Enu-Oosa in Oyo State who only believes that the government is indebted to him to make life livable. Don’t run these statistics by the man in Dutse, Jigawa State, as an excuse; he doesn’t want to hear it. All he has been told is that our leaders are specialists in stealing government money to buy private jets and live in ostentation. Nigerians are just too angry right now because they are too hungry. Unfortunately, they are too hungry in a rich country like Nigeria that keeps making money but making no progress. For the month of April, Nigeria’s income was N388bn. The Federal Government received N132.1bn, representing 52.68 per cent; 36 states got N67bn, representing 26.72 per cent. Local governments received N51.6bn, representing 20.60 per cent. N23.1bn representing 13 per cent derivation revenue was shared among the oil producing states. Who wants to hear any excuses with this big flow of money? Unfortunately, for many years, glowing reports like this mean nothing in Nigeria. We have had booms in times past and the profits melted off into somebody’s private accounts. Governors are personally counting billions and legislators receiving millions in direct deposits from severance pay as pain and agony continue to grow like fertilised yam tubers in the land. Cabals are entrenched in oil business, Mafiosi drive policies and politics. With reports of big money inflow, some departments of the Federal Government and two-thirds of the states are still not able to pay their workers as looters continue to loot without giving a hoot. This time round, Nigerians are not expecting excuses as options; they want a way of escape from the misery the government has unleashed on them. Nigerians have never experienced miracles in government, maybe, this season will usher in a first. The miracles they expect are not “the-dead-man-walking, deaf-woman-hearing” type of thaumaturgy. When the leader stops diverting the people’s funds into private purses, it will be a miracle here. Graft and gluttony are the reasons why the nation is bleeding to death. We have lofty ideas but lousy implementation; we have many laws in the book but measly enforcement. We hope Buhari is that man we have been waiting for who will both implement and enforce far away from the barnyard of graft and greed. 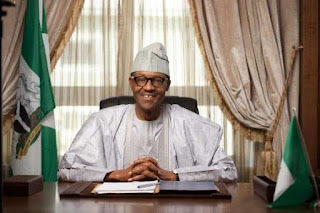 We HOPE Buhari is the man; that’s all we can do at this time.